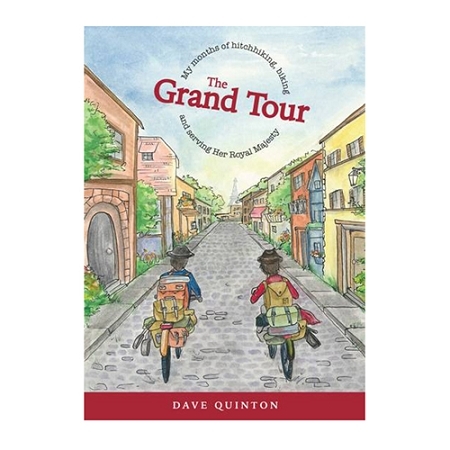 Like young people today, Dave Quinton yearned to explore the world after finishing his university studies. In 1960, four years before becoming host of CBC’s Land & Sea, Dave his friend Bob hatched a plan: steam across the Atlantic, then hike, hitchhike, and cycle across Europe for as long as their money would hold out. Little did Dave know that his travels would take him within the gates of Buckingham Palace, where he would to meet members of Britain’s royal family. For seven months, the pair meandered through England, Ireland, France, and Spain. When they ran out of money, they settled in London and picked up odd jobs—Bob as a delivery driver, and Dave as a gardener for the Queen.